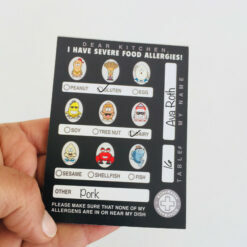 If your child has multiple food allergies chose from our multiple food allergy stickers or personalised allergy labels & tags. 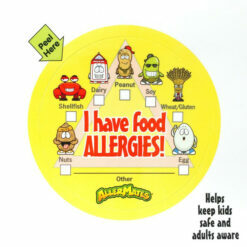 Great for school, child care, parties & days out. 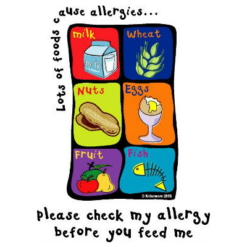 Will stick to books, bags, clothes, lunch boxes, drink bottles & more. 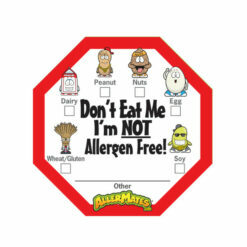 Our labels are hard wearing, waterproof, microwave safe and have an allergy awareness message.